The first-ever USAC Uruguay students headed to Montevideo for the fall 2017 semester. 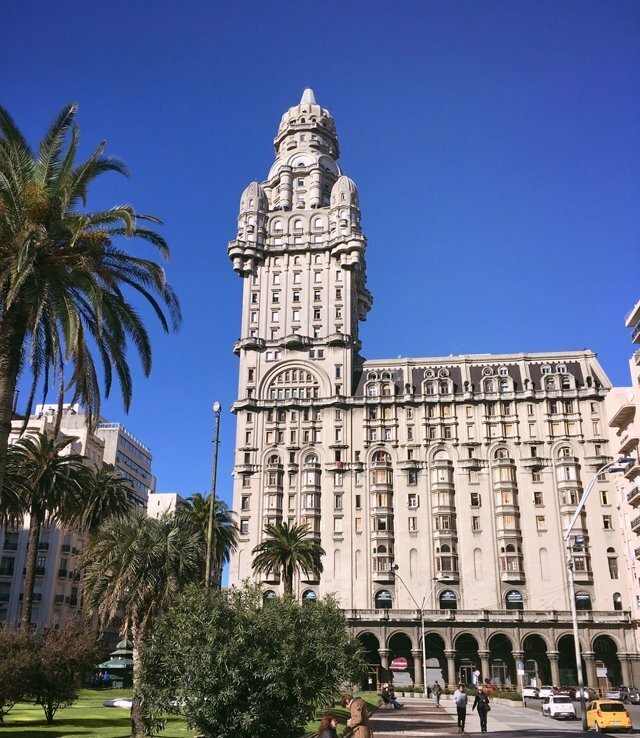 Montevideo is a bustling high-tech city populating a majority of the citizens of the small Latin American country of Uruguay. 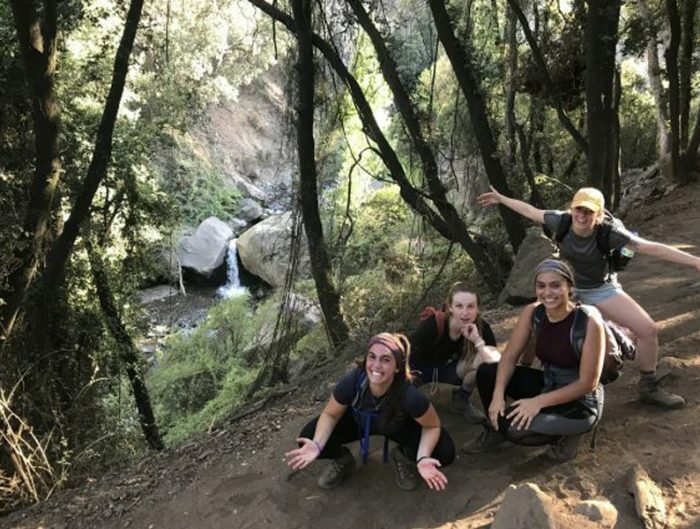 Known for its laid-back atmosphere, beach-filled shorelines, and easy access to Argentina and Brazil, we’ve been anxiously awaiting to hear how students are liking our newest study abroad location. 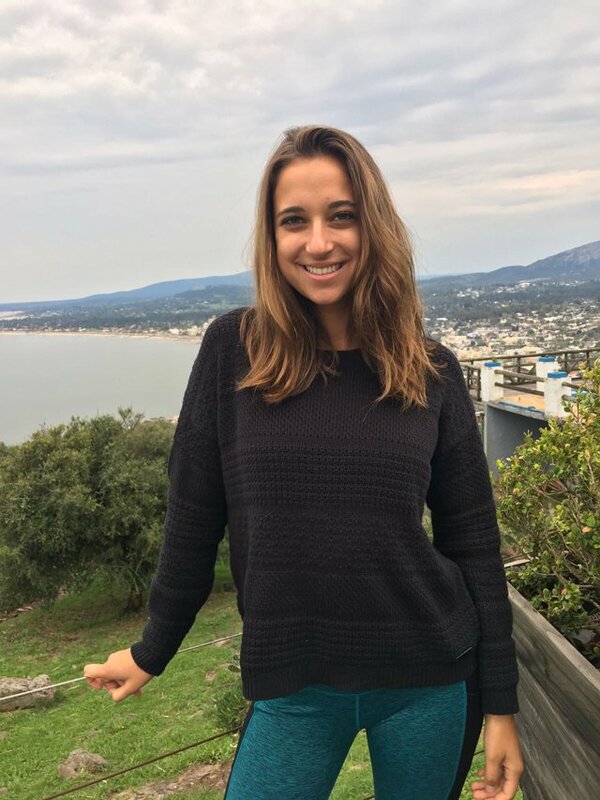 Makena Forster is a University of Nevada, Reno student who filled us in on her experience in Montevideo thus far. 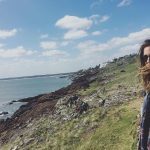 Why did you choose to study in Uruguay? I’ve always had a strong desire to travel deep into the South American continent, ideally where not many people had gone before. Argentina held a spot at the top of my list; it turned out that its much smaller neighbor, Uruguay, was a new program with USAC. After some research, I saw that Uruguay is something of an oasis from the tourist meccas that are Argentina & Brazil while possessing aspects of each culture. I was intrigued by the authenticity, uniqueness, and generally undiscovered nature of the country. Montevideo seemed to have all of the aspects of big-city life balanced with a generally mellow disposition which I had never seen before. How is your experience differing from your expectations? Having never heard of Uruguay before, I went into the program with an open mind. I expected a bustling and perhaps dangerous city; instead, I was greeted with a very calm and safe atmosphere. I’ve never been in a city where the general populous maintains a shared “tranquilo” attitude. What has surprised you the most about studying abroad in Uruguay? Uruguay is famous for its mass beef production and strong gaucho culture. Expect heavy amounts of meat with most meals. I was not expecting a passion this thick for a single type of food. What is your favorite course and why? Latin American Women’s voices is my favorite class, not only in the program but in college thus far. Our professor is an Uruguayan native who has a passion for the topic of gender studies, and the opportunities she gives us to attend events and talks is amazing. Every class we are engaged in discussion about the state of women’s affairs in Uruguay or the world as a whole; I never have learned more in a course. 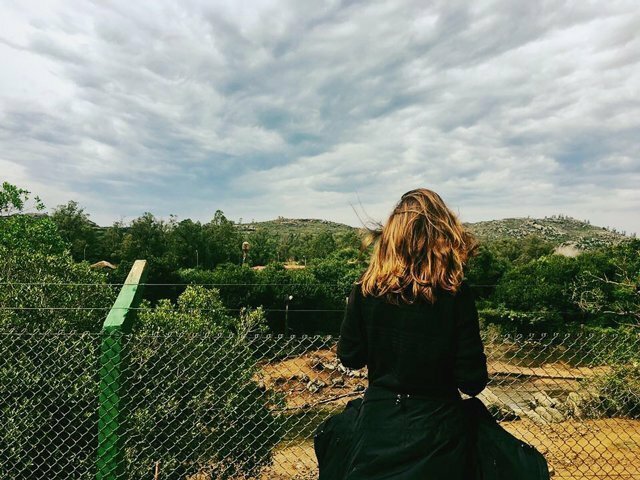 We took one field trip to the NGO UN Mujeres office and spoke with the director, who shared with us her background as a women’s rights activist and how that comes into play with the progressive political climate of Uruguay. So far, what has been your favorite field trip or personal travel destination? We recently returned from a trip to Buenos Aires, Argentina, and Colonia, Uruguay. USAC had us in a beautiful hotel that was very centrally located in Buenos Aires. During the trip we saw every major historical, architectural, or religious site/neighborhood in the city that is absolutely necessary to visit, but they also took us to several locations somewhat off the grid from the normal tourist areas. The two days we spent in Colonia were equally as culturally enriching, learning about the Portuguese/Spaniard colonization that took place in this part of Uruguay. The town has preserved its historic buildings and prevented new developments from happening in order to keep the colonial town feel. It was a well-organized and incredible trip! What is the host university like? Are there activities/clubs for international students to get involved in? Universidad ORT is a wonderful host university! It has everything needed to get work done but, in a classic Uruguayan fashion, has plenty of spots to relax including a rooftop terrace, several outside patios, and a cafeteria with a comfortable study spot upstairs. It is the cleanest university I have ever seen, and the staff is very friendly. The classrooms are all modern with large windows. In addition to the great facilities, ORT is less than a 10-minute walk to La Rambla, two blocks to any ATM or grocery store, is surrounded by cafes and great restaurants, and is within walking distance to most host family homes. I personally haven’t participated in any international student organizations, but other USAC students are doing intramural volleyball and soccer. What is your housing like? 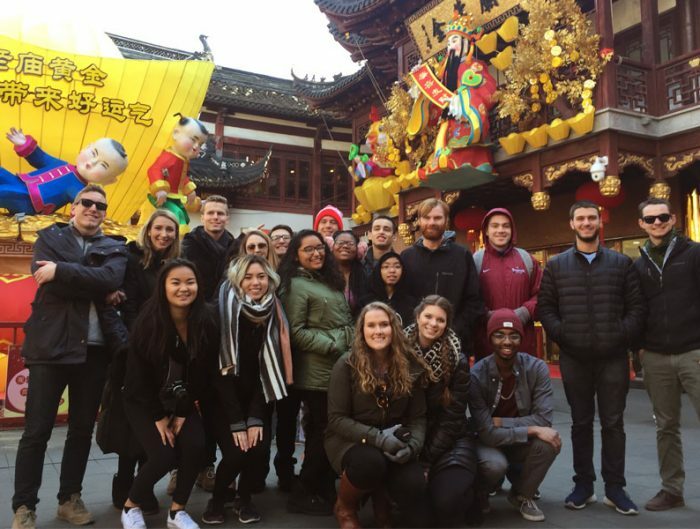 Are you with locals or other USAC students? The housing situation is perfect. I am living with a local family who has a son that also attends university, as well as one other USAC student. My family is the ultimate in traditional Uruguayan. They are always sipping mate and cooking some kind of delicious beef dish. They own a ranch in the northern part of the country, so all of the beef they cook is literally homegrown. Our house is four blocks from the school and is in the safest neighborhood in the city so I am always comfortable walking around at night, etc. 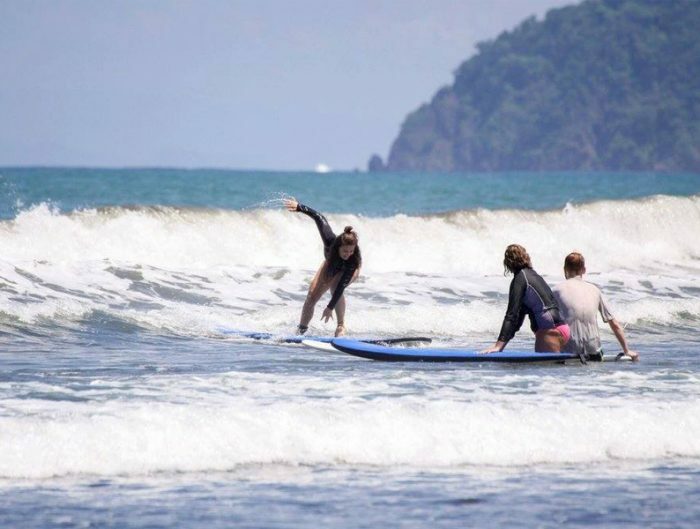 The first day I arrived my host family made me feel immediately welcome and, although my Spanish was essentially non-existent, we established a close bond over our love of travel. Their house is full of things they’ve collected from their travels, and we’ve been able to share stories as my Spanish has improved. What is the cool hangout spots for local students? Universidad ORT is located on one of the busier streets in the city. Next to the campus there are several great places to grab coffee and food. Directly next to ORT is a cafe called Club Natural y Popular (AKA “Popu”). They have fresh juice, vegan/vegetarian food made fresh daily, and amazing espresso. Another main hangout spot is Montevideo Beer Company, right across the street from ORT. They have the best craft beer in town and great burgers. Both of these places always have live music at night, so locating the Americans at any hour of the day is a pretty easy task. What does a typical day look like? How about a weekend? A typical school day for myself starts with a 4-block walk to school (petting all of the neighborhood dogs on the way), usually getting breakfast/brunch at Popu, and grabbing a coffee before and during class. After class, we’ll usually go to Montevideo Beer Company for lunch/early dinner, or go home to do homework. If not that, I usually go on walks along La Rambla with my host brother and friends to talk about our day. Weekends usually include copious amounts of walking and exploring the city. 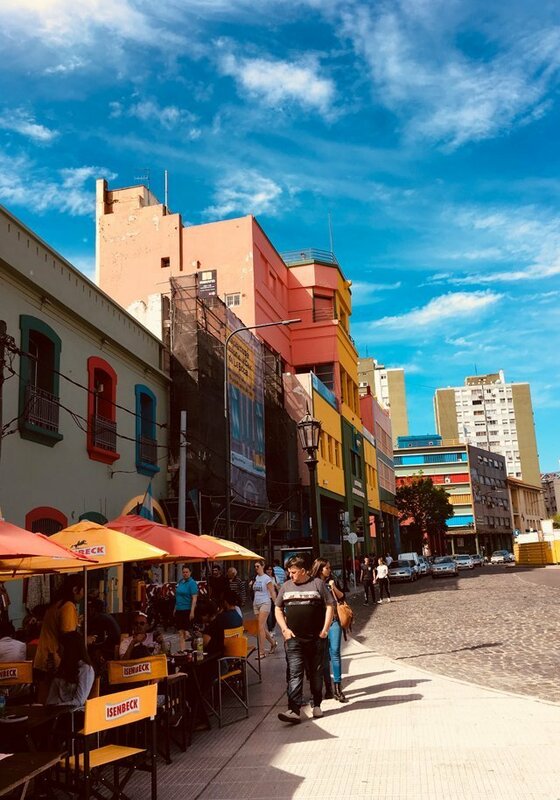 Saturdays are exciting in Montevideo; there is almost always some event going on in Ciudad Vieja, whether it be live music or a food festival. On Sundays, there are Ferias – or large farmers’ markets in the streets. These are where we’ll get some fresh fruit and cheese, and listen to the locals to pick up some new Uruguayan phrases. With the warm weather starting, we have been making weekend trips up the coast. 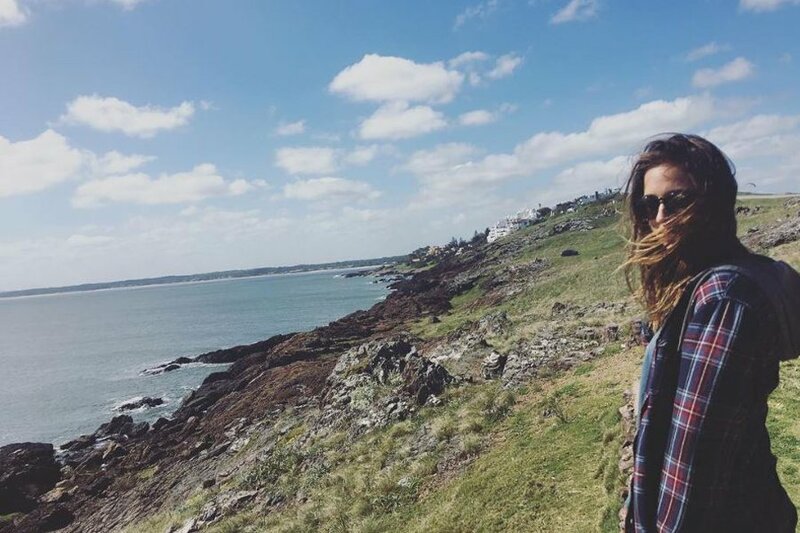 Thus far, we’ve gone to Cabo Polonio, Punta del Este, Punta del Diablo, and La Paloma. 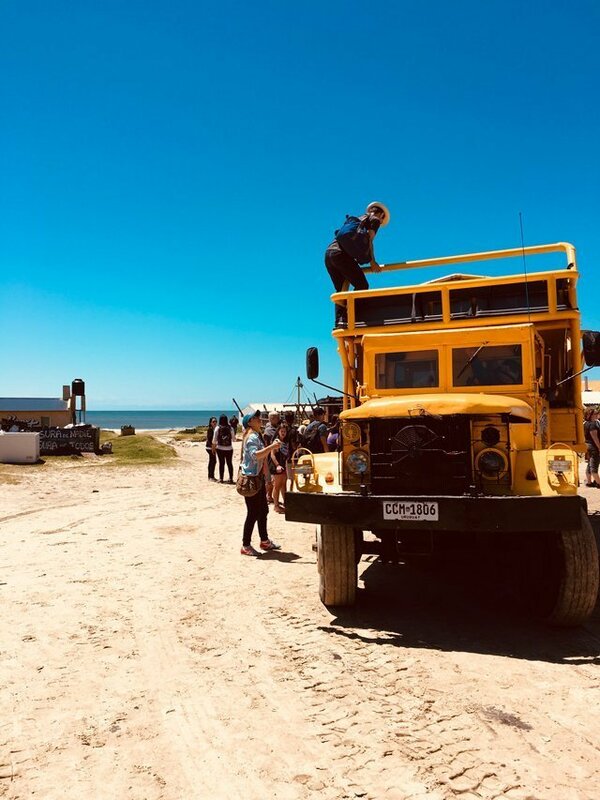 Exploring the coast of Uruguay is extremely easy given the frequent and inexpensive bus routes that go all over the country. If you had one paragraph to convince a student to choose to study in Uruguay over another location, what would you say? If learning Spanish is one of your top priorities when choosing your study abroad location, choose Uruguay. You will never experience a Spanish as unique as that in Uruguay and Argentina. The Spanish of the Rio de la Plata region is found nowhere else in the world and is incredibly interesting to learn. 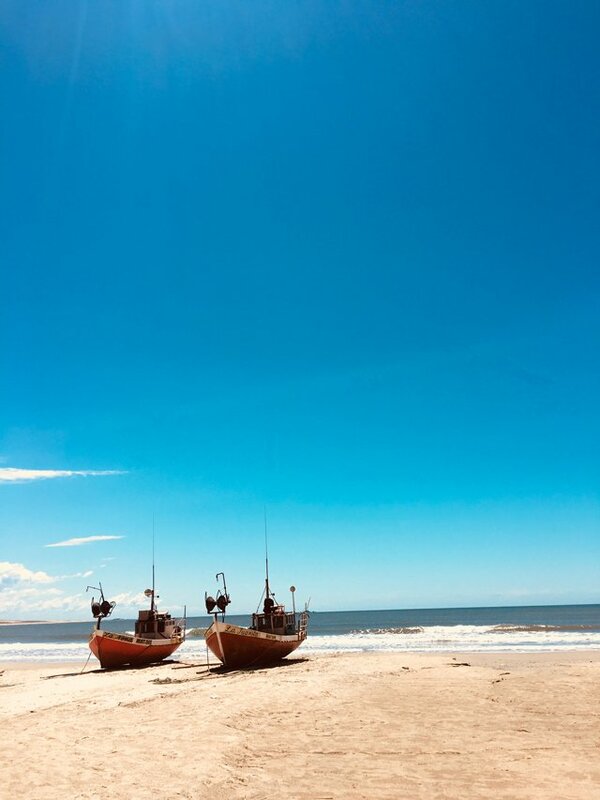 Another reason to experience Uruguay is the “Tranquilo” culture here. 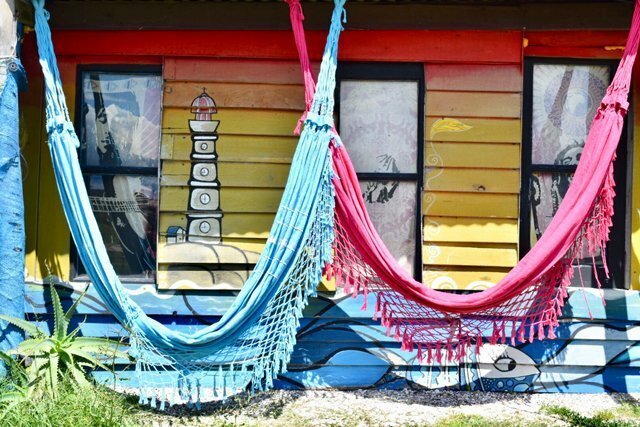 Uruguayans are laid-back and mellow; any time of day, any day of the week, you will see locals sitting by La Rambla sipping mate and enjoying the views of the river. Even living in a large capital city, the relaxed attitude is tangible and so important; it teaches you to enjoy daily life rather than rushing through it.